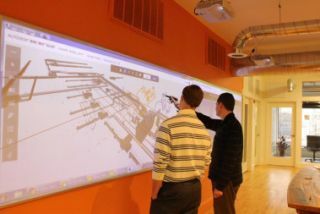 Hoylu, a visual ideation and collaboration tools provider based in Sweden, has announced the acquisition of the Huddlewall business from its partner Scalable Display Technologies, a provider of software and services for multi-projector display systems. Included in the transaction is a four-strong sales team in Boston, US, as well as customer base, intellectual property and trademarks, current book of business and prospects. The total purchase price is estimated at $800,000. The sellers will receive a convertible note of $300,000 plus an earn-out based upon actual sales in 2017. The purpose of the acquisition is to include Huddlewall in Hoylu’s portfolio of immersive room solutions, collaboration and smart office solutions. In addition, part of Hoylu’s go-to-market strategy is to have a sales team on the ground in Boston. Following the transaction, Andrew Jamison, Scalable’s CEO of 10 years, will take on the role of VP sales US at Hoylu, also joined from Scalable by Zach Hurvitz, Samuel Pietsch, and Nathaniel Pierce. “This acquisition is a natural consolidation of a business that is already a part of our value chain. By including this award-winning flagship product in our portfolio we can easier meet the growing demand, shorten lead times and work directly with our largest customers to deliver total solutions,” stated Hoylu CEO Stein Revelsby, in a press release. Jamison described the news further on his LinkedIn page: “Large format collaboration walls have been a personal passion of mine since the early days at PictureTel in the early 1990s. In 2011 we began experimenting with a combination of technologies to achieve digital pen input on very large ‘scalable’ display surfaces. In 2015, we improved our solution to include a new pen technique that provides very high resolution pen input, as well as the opportunity to add digital paper functionality. We also added a suite of custom collaboration applications that are specifically designed collaboration on for large format displays. The result of these years of R&D is the award winning solution we named Huddlewall. In comments to SCN, Jamison said: "The Hoylu team has an exceptional range of skills that are perfectly suited for the digital transformation of group collaboration. Hoylu understand digital transformation from a unique perspective, and this leads to enhanced user experience for presentation, ideation, and collaboration. I am thrilled to join the Hoylu team. I have partnered with members of the Hoylu team for years, and it is great to now be on the same team."